After a long delay and a lot of consideration, it seems that the Honda HR-V is finally going to make it to the Indian shores. It will go directly against the likes of Hyundai Creta, Renault Duster and the Jeep Compass. 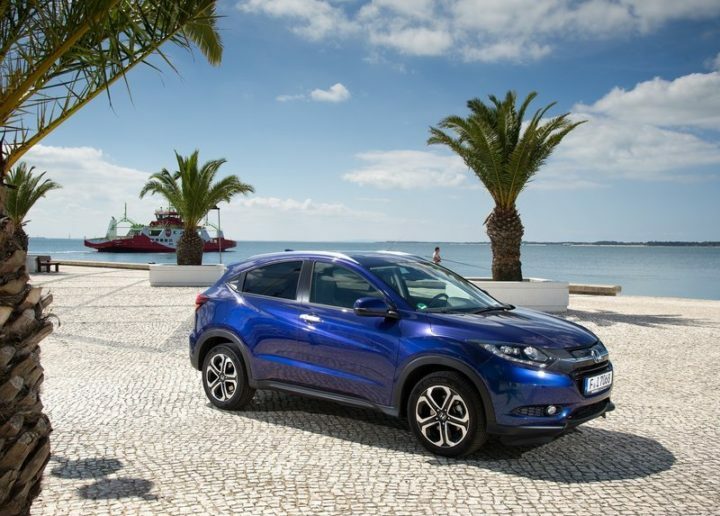 To take on the likes of the Hyundai Creta and Renault Duster, Honda Car India will launch the HR-V, crossover in India, The Japanese automaker is planning to launch a total of six new vehicles in our country within the next three years. The decision to launch this vehicle in India was called off earlier as the automaker was not able to meet the cost target. The HR-V made its first public debut at the 2013 Tokyo Motor Show. Honda is planning a new product offensive for India. This will commence with the launch of the new Amaze, followed by the new CR-V and the Civic. The HR-V will follow in around 2019 with the new City launching by 2020. The Honda HR-V will find its place above the BR-V in Honda’s line-up in India. Consequently, expect the prices to fall in the range of INR 14 lakh to 18 lakh. With this price point, as mentioned before, it is going to primarily compete with the likes of Hyundai Creta. In addition to this, it will also take on the Renault Duster and the Jeep Compass as well. The Honda HR-V comes with classic Honda styling. Consequently, the exterior profile of the vehicle looks very aggressive and sharp. The front of the crossover takes a little bit of inspiration from the current spec 2018 Honda CR-V. From the sides, the HR-V has lean characteristics with a coupe-like roof-line. The rear profile of the HR-V comes with large tail-lamps and an up-right boot. With its new product offensive, Honda plans to regain its brand image as the manufacturer of premium cars. Consequently, expect the HR-V to come with a very plush cabin. Just like the exterior profile of the vehicle, the cabin will also have a very attractive layout. The latest iteration of the car comes with Honda’s safety and driver assistance systems. In addition to this, the crossover will get Honda’s new touchscreen infotainment system. This comes with features like Apple Car Play and Android Auto connectivity among the others. When the HR-V comes to India in 2019, it will get the same engines which Honda is going to use in the new Civic. Hence, the petrol derivative will get an option of two units, a 1.5-litre i-VTEC and a 1.8-litre I-VTEC. While the diesel derivative is going to get a 1.6-litre i-DTEC motor.